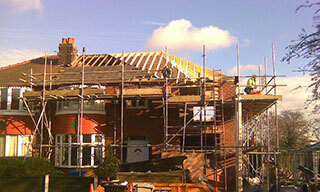 As a Cheshire & SouthManchester based firm specialising in Roof repairs Cheshire. We can offer a fast and cost effectiveroof repair service for all of your roofing problems no mater what the size. Our roofing experience allows us to diagnose roofing problems that other roofers and builders just cannot solve. We can offer a fast response roof repair and we have roofing teams available to explain and go through any concerns about roof repairs you may have. As we are local company in Cheshire & South Manchester – you don’t have to worry about us being more then a phone away. Need roofing work carrying out? Do you need roof repairs undertaking on your property? Has storm damage affected the stability of your roof? From minor repairs to extensive roof maintenance, just call KLC Builders Ltd (Conway) for a roof repair call-out. All of our work is guaranteed and when you call us you will receive years of roofing experience. You can rely on us for a quality roof that is built to last. Whether it’s a small scale tiling project or a GRP flat roof installation, our professional roofers will be on hand with a prompt efficient service. 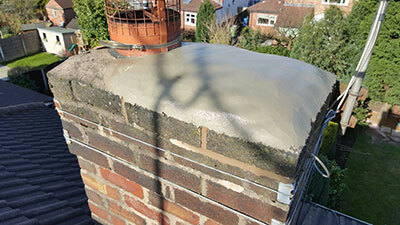 Roof repairs undertaken across Cheshire & South Manchester.